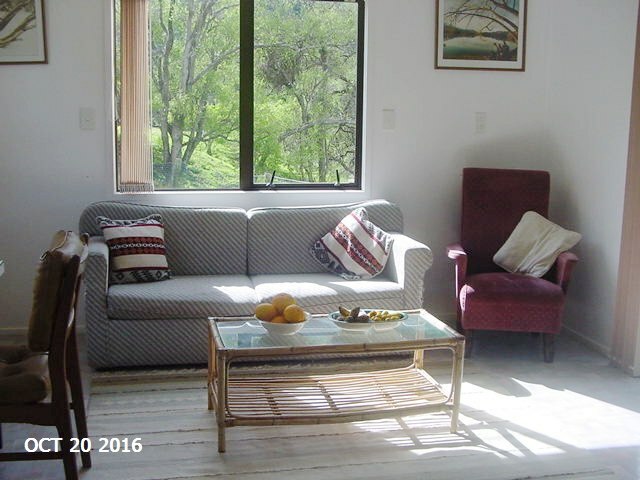 Surrounded by bush-clad hills at the foot of the Warawara Kauri forest, you can relax in idyllic surroundings and enjoy 'Hokianga time', far from the rush and stress of everyday life. Sleep peacefully with no street lights to disturb you, just the dark starry sky above, and wake to the sound of bird calls and the ripple of the river down below. 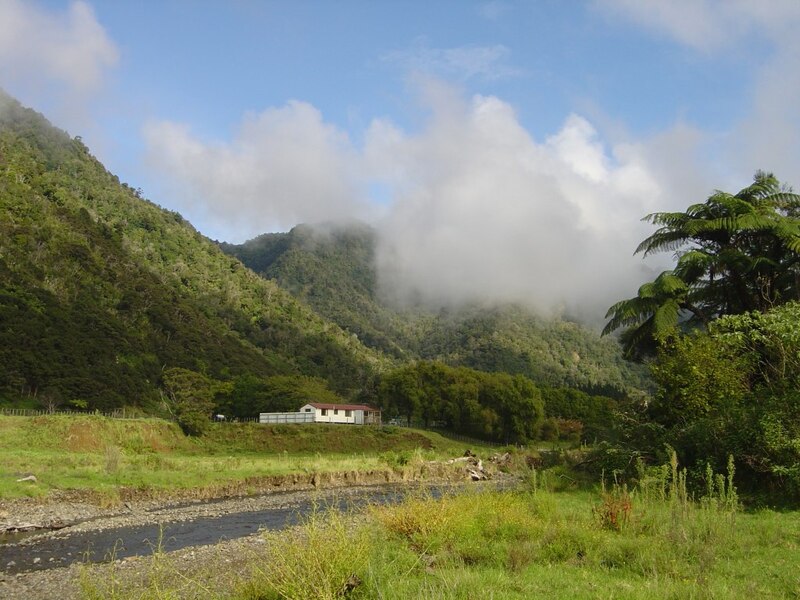 Although it may seem like the end of the world, K Road Cottage is only five minutes from Panguru, less than half an hour from the ferry landing, and an hour's drive from our nearest shopping centre in Kaitaia, 65 kms north. Feel free to do your own thing, or let us show you some of our favourite places. Just let us know what you'd like to do. North Hokianga is a photographer's dream - be sure to bring your camera! 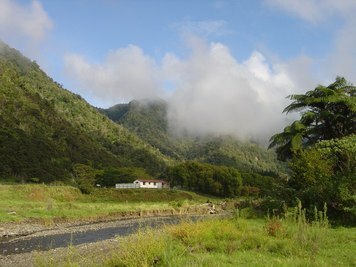 K Road Cottage is located above the river which borders our property and is crossed by means of a ford. 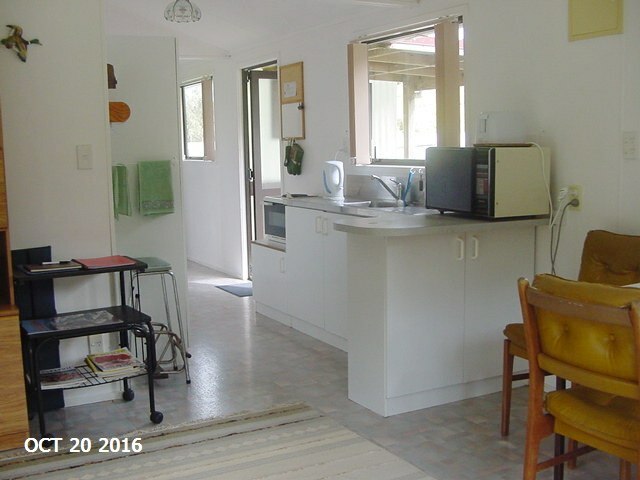 The cottage has two bedrooms, an open plan lounge/dining area/kitchen, bathroom/laundry, a front deck overlooking the river and a ramp at the back door. 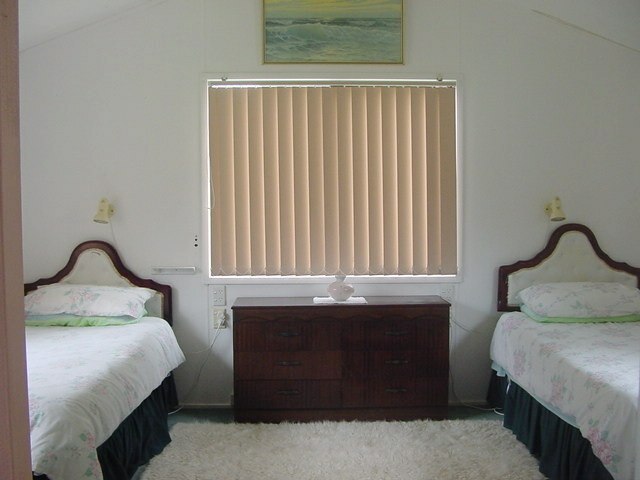 The main bedroom contains two single beds and the second bedroom contains one single bed. A double sofa bed in the lounge can accommodate two further guests if required. Linen, duvets and bedding are supplied. The bathroom contains a shower, toilet, handbasin, washing machine and hot water cupboard. 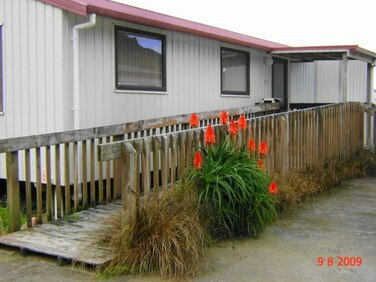 The kitchen is fully equipped with a large pantry containing some basic food items including tea and coffee, a fridge/freezer, a bench top stove with two elements, and a microwave. The wall cabinet in the lounge contains reading material and indoor games. No television at present. Cell phone coverage is erratic due to the topography of this area. Clothesline on back lawn. Iron & ironing board available. Smoking outside, please. It would also be appreciated if footwear is left at the door. Pets are welcome, but please check with us first. As this is a farm with cattle, horses, pigs, dogs and a cat, we need to ensure all animals are safe. All you need to bring is food, extra towels and suitable footwear - gumboots are most useful!